Captain Olimar returns in Pikmin 2 to marshal new Pikmin in a wild, open-ended adventure--and this time he brought help. The company he works for is going bankrupt, so to save it, Olimar must salvage the treasure buried all over the planet. His company's debt is a whopping 10,000 pokos--but if Olimar and his assistant can delegate their work well, they should be able to erase that debt in no time. Of course, they'll need the help of the Pikmin to do that. Alternately control Olimar and his assistant as you command your Pikmin to defeat enemies, propagate more Pikmin, collect precious doodads and solve puzzles. With no time limit, new colours of Pikmin and two-player cooperative play, Pikmin 2 improves on the original in every way. I'm obsessed with the first Pikmin game, to the point where I fall asleep at night wondering about how to get as many parts in one day as possible. The good thing about the original was its urgency - it encourages the player to keep doing better, and to constantly break their own records. Pikmin 2 has no time limits however, allowing more freedom to explore the gorgeous, seasonal landscapes; inhabited by swarms of beasties. The creature design of Pikmin was a definite highlight of that experience, so its good to see that the artists pulled out all the stops. There must be thrice as many enemy types this time around, all of them hellbent on making the pikmin's lives as hard as possible. The graphics are also more polished, and the new cave-exploration mechanics are fantastic, as they allow you to test your survival skills without worrying about the time limits of the surface world; usually ending on an epic bossfight (though some are just scaled-down versions of Pikmin enemies). 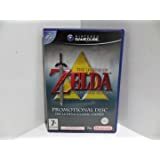 The main goal here is to collect waste (you know what they say about trash and treasure), including branded items like Duracell batteries, Danone yogurt pots and even old Nintendo gadgets, to make 10,000 pokos of cash. The main campaign is over in about 8-12 hours, but there's a whole other area to explore once the credits have rolled, and even the other places should have stuff left to find in them. 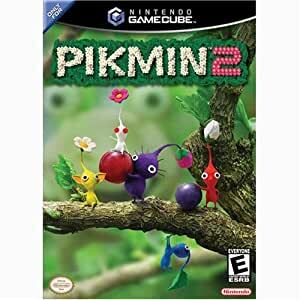 Overall, I didn't like Pikmin 2 as much as the first, but as sequels go it's still a fantastic game. The stuff it adds to the existing lore (2 pikmin types, the aforementioned caves, and a 2-player mode) makes it worth doing the whole collectathon thing a second go around, and I'm sure I'll love Pikmin 3 just as much. 5.0 out of 5 starsThis story is spot on. This has timed days but there is no time limit. You can spend as many days as you want growing your Pikmin and searching the destinations. i couldn't find this game in any shops e.t.c but found it here, my son absolutely loves it best purchase ive made in a long time!! Okay, they took the good bits from Pimin 1, and rebalanced it, added new bits and made it a lot longer. It takes elements of a real time strategy game, but to label it just as an RTS seems... unfair. It is loads more. The game is cutesy violent, and well polished. Little things like the evil wasp things rubbish it's hands with mallace while wandering around a map... the new perspective on our own world from a very small perspective. If I had kids, it would be one of those games I could play with them and keep the controller moving between us. It is real family entertainment - and a socialable game. People whom watch are compelled to warn you of danger, or laugh at some of the rich dynamics in the game. For instance, there's a big red bug that rolls bolders at you. In other games, perhaps the enemies wouldn't get hurt by them. Not in this one! You can try and lead it in to other enemies or even back at itself! Discoveries and rewards like this delight players and spectators alike. You find yourself getting attached to the little guys, and when you loose some it is sad to see there little ghost rise up and disappear. You also feel great pride when your team takes down something hundreds of times bigger then themselves! The game as I said at the begining is rebalanced... instead of yellows throwing bombrocks (I found them quite difficult in the first one) they are elemental like the others... yellows don't get hurt by electricity. Reds are fierce and impervious to fire. Blue can't get hurt by water, and so on. There are at least 2 more pikmin types you discover during the game - and other suprises along the way. Higely satisfying and dare I say addictive - this is one of those innovative games you just don't find outside Nintendo consoles. If you have the first (or don't), I can tell you this one is a huge improvement and would be a decent addition to your collection. 5.0 out of 5 starstake your pik. pikmin was an all time classinc.using small creatures called pikmin to find the parts to fix olimar's ship. along the way you had to fight bosses and all types of creatures.the problem was you could complete it too easily! plus two new pikmin have been added. purple: can lift 10 pikmin worth of stuff. and white:poison and can run faster than a cheetah strapped to firework!